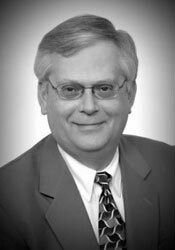 Garth M. Tebay has over 30 years experience on matters related to business valuation, share valuation, merger and acquisition due diligence, fairness opinions, forensic accounting, and expert witness testimony related to business valuation. He is a nationally recognized expert, industry leader and educator on the subject of business valuations. Mr. Tebay and his staff have performed hundreds of valuations since 1980. Mr. Tebay has also been qualified as an expert witness in various municipal and federal courts, and has given testimony in estate and gift tax cases, divorce cases, lost profits and economic damages cases, shareholder disputes, and federal bankruptcy court proceedings. He is often called upon to consult in various private business valuation matters, and has handled numerous valuation related matters related to merger and acquisition due diligence and transactions. In addition, Mr. Tebay has also served as an arbitrator for the American Arbitration Association. Mr. Tebay received his Bachelor of Science in Accounting in 1972 from Findlay College in Ohio. He then received certification as a Public Accountant in 1975. In 1997, he became a Certified Valuation Analyst, and was awarded the CM&AA (Certified in Mergers & Acquisitions) in 2001 and received certification as a Certified Forensic Financial Analyst in 2008. He is a member of the Ohio Society of Certified Public Accountants, the American Institute of Certified Public Accountants (Tax Division and Consulting Services Division), the Alliance of Merger and Acquisition Advisors, National Association of Certified Valuation Analysts, through which he is a member of the Education Quality Assurance Board (EQAB), NACVA Standards Committee (provide interpretations and expand upon technical standards), the NACVA Training Development Team, the NACVA Course Review Committee (dedicated to reviewing NACVA’s substantial curriculum), member of NACVA Mentor Support Group, the NACVA Current Update in Valuation Team, and the NACVA Speakers’ Bureau, as well as many other local memberships. Over the years, Mr. Tebay has held offices and served on many boards for local organizations. In May 1983, Mr. Tebay was awarded the Accounting Advocate of the Year Award from the U.S. Small Business Administration. Again on July 24, 1997, he was awarded the Accounting Advocate of the Year Award for Northwest Ohio by Senator Linda Furney on behalf of the U.S. Small Business Administration. On June 24, 2007, Mr. Tebay was appointed by Ted Strickland, Governor of the State of Ohio, to The Executive Order of the Ohio Commodore. In 2008, Mr. Tebay founded Tebay & Associates, LLC. Mr. Tebay’s primary focus within the firm is management consulting services, which includes business valuations, litigation support, and mergers and acquisitions. Prior to founding Tebay & Associates, LLC, Mr. Tebay was the Founder and Managing Partner of Tebay Mosley Associates, LLC, a Partner at Brell, Tebay, Holt & Dettinger, Inc., and CFO/Director of Westhaven Services. As an instructor for the National Association of Certified Valuation Analysts, Garth teaches the Current Update on Valuation, the Fundamental Techniques & Theory (FT&T days 1 and 2) and Applications and Calculations of the Income and Asset Approaches (day 3) at NACVA Training Centers since 2001. In 2010, he was appointed Business Valuation Training Center and Current Update in Valuation Content Manager of NACVA. He was the co-chair for the Valuation Symposium at the 2011 NACVA National Conference. In addition, Mr. Tebay has presented the valuation program for the Internal Revenue Service, the Small Business Administration (SBIC Division), and The Korean Valuation Association. He has also presented Forensic Accounting for White-Collar Crime to the National College of District Attorneys, wrote instructional materials for NACVA program “Business Valuation Fundamentals for the CPA” (2005), co-authored instructional materials for NACVA programs “Fundamentals, Techniques & Theory”and Applications and Calculations of the Income and Asset Approaches” (2005), and has been recognized with NACVA’s “Outstanding Member Award” (2005) as well as their awards for “Instructor of Exceptional Distinction” in 2003, 2004, 2005, 2006, 2007, 2008, 2009. 2010 and 2011, and “Instructor of Great Distinction” in 2002. In addition to authoring portions of the training curriculum, Mr. Tebay has presented numerous seminars on the topic of business valuations.